Yesterday was a snow day. The 5th so far this year. That doesn't count all the delays. So what did we do on our snow day? We could have rocked the reading minutes, but I realized at the end of the day that we only had about the amount we normally have. Where did the day go? Well, the boys spent some time outside playing in the snow. They sledded down the small hill in our front yard. They played Star Wars with their light sabers in the snow (probably recreating Hoth). They did indeed watch a movie, Scooby Doo! Stage Fright. And Scooby Doo has great lessons while being entertaining. 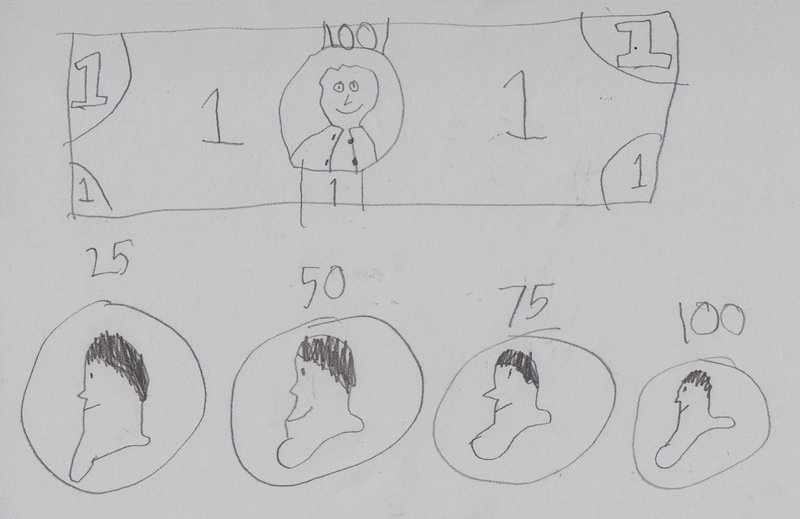 Wil drew a dollar bill and four quarters. Because he's learning about money at school. So, math! Wil is also very interested in geography. He loves to play Stack the States and Stack the Countries on the iPad. We also have a game to put counties in states like puzzles. He also draws continents, countries, states, counties.... 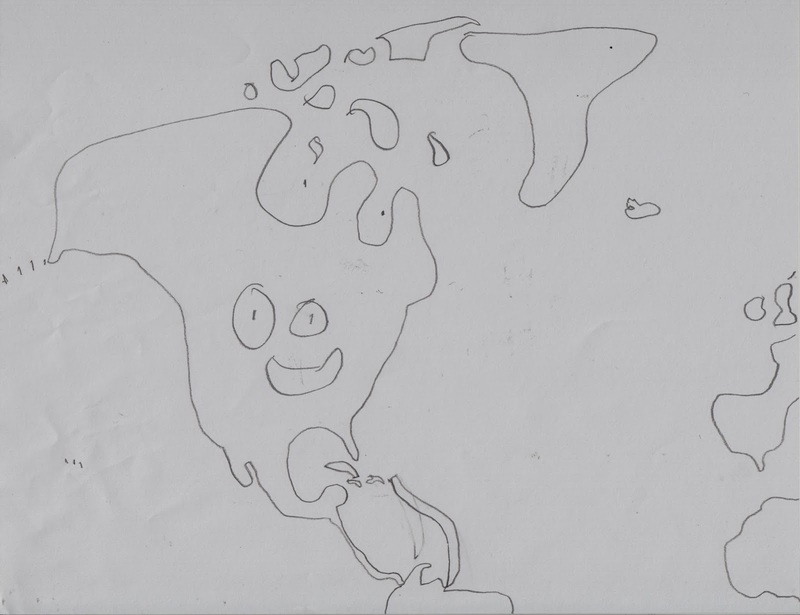 The above is a drawing from memory of North America. I also baked banana bread, with Sam helping. He loves to bake. So reading, just reading--not more than usual. But learning? Yeah, there was learning. And learning through playing! Not a bad way to spend a snow day.